Harvey’s vegan food caravan was a regular sight around the art school. 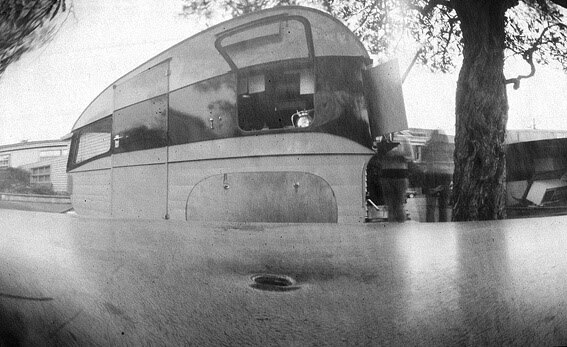 Image taken with a pin hole camera. The camera was sitting on the umbrella table but looks like a stomach with the bellybutton visible!